In Part I, we introduced you to the game of poker, and since then, you’ve played a few hands and become familiar with the game. Now it’s time to win. In Part II, we’re going to look at the specific strengths you’ll bring to the game as an experienced MTG player, and a few weaknesses you may want to address before risking your bankroll. Don’t worry, the strengths far outnumber the weaknesses. That’s why we wrote this guide… as an MTG player, you’re the perfect candidate for a winning poker player! Both MTG and poker are games of incomplete information. The cards in your opponents’ hand, the card order in the deck, it’s all a mystery. In MTG, you are paying close attention not only to each card your opponent plays, but each one they do not. Understanding metagame archetypes gives you an edge to predict what other cards are likely to be in their hand, and after the first game you’ll know exactly what metagame they’re playing. Likewise, poker requires you to consider what cards your opponents hold. You do not know, but you can infer given their actions at the table. Perhaps they raised pre-flop, first to act, with a little more enthusiasm than usual? You might “put them on a range” of premium hands, top pairs and very strong aces. This allows you to make much more informed decisions about your own play as more cards hit the board. Archetypes in poker are not as clear-cut as in Magic, and good players will change metagame dynamically throughout the match to confuse their opponents and remain unpredictable. Critical decisions in MTG start the moment you win or lose the opening roll, determining whether you act first or draw first. Each act affects all plays that comes after it, so the opening plays are arguably the most important, because they often set the tone for the entire match. Poker has an analog to the MTG opening move in “pre-flop” play. Which hands you choose to play will entirely determine your ability to win or lose. Most beginning players play far too many hands, mistaking this for a strategy that maximizes opportunities to win. Imagine you could mulligan in MTG and draw a full hand. That’s what folding is like in poker. You have the freedom to fold the majority of your crappy draws, and not risk any money on anything but the best (premium) opening hands. Which hands you choose to play pre-flop is called your “opening range”. Most coaches would agree that when starting out, the strategy of playing only the best hands (AA, KK, QQ, JJ, AK) is a great way to minimize the risk derived from inexperience. This makes you something of a nit and rather predictable, but you’d be surprised at how many players will fail to notice. As you start to develop a sense for which hands to start with, you can exploit your next MTG strength: understanding priority. The chess-like aspect of MTG involves thinking several steps ahead, and constantly paying attention to who has priority to act. Whoever acts next holds the edge and affects all future play, with the ability to put pressure their opponent(s) to make tough decisions, and guess at your gameplan. Poker is identical, though we call it ‘position’ instead of priority. Position refers to your seat at the table in relation to the dealer button, which is the last position to act in a hand. There can theoretically be up to 10 players in each poker hand. There are far less in practice, because the field will fold most weak hands. Nonetheless, because of multiple players, poker decisions become incredibly more complex than in MTG. Position, as they say, is king. The rule of thumb is this: If you are last to act, you are in the most advantageous position. In fact, you are said to be “in position”. Therefore the best position is the dealer button, and the positions to the right of it. We call this “late position”, and it’s where you should be doing most of your raising. We can’t stress this enough. You will play the majority of your hands, and win the majority of your money, playing hands in position. It’s so important our coaches wrote an entire book on late position play. Since you’re already accustomed to paying attention to where you’re at in a hand, you should pick up position in poker quickly. A single mistake in MTG can cost you the whole game. Poker, like MTG, is just as much about avoiding making mistakes as it is making the correct decisions. This is why it helps to learn the math of poker, and how to use statistical tools like Flopzilla to understand what constitutes a mistake. With their mana curves and deck analyzers, MTG players are no strangers to statistical thinking, and that skill will serve you well in poker. Another thing both games have in common: A single card can change the whole game. Unlike, say, chess, where moves play out fairly predictably, your entire strategy can change depending on a single card that you draw, or a single card that hits the board. This turn-on-a-dime strategic thinking has carried you far in MTG, and will be critical in a very large percentage of the hands you play post-flop. MTG and poker are both games of aggression. There are a few exceptions, such as when you’re feigning weakness to “trap” your opponent, but in both games, if you have a good hand, you want to play it aggressively. Another shared aspect, but with a different meaning, is the concept of expected value. In MTG, we talk about investing in cards, and predicting what they’ll be worth in the future given what you know about their popularity, utility and rarity. A card that appreciates in value is +EV, one that loses value is -EV. Situations are constantly in flux and what may be +EV one week is -EV the next. Expected value is a central concept behind all forms of poker, but of course we’re not talking about buying an ace of spades now to sell it later. Expected value is a consideration in each hand, and depends on both probability and player tendencies. Both games require a certain amount patience and endurance to be able to sit at tables for hours on end with total focus, making correct decision after correct decision. 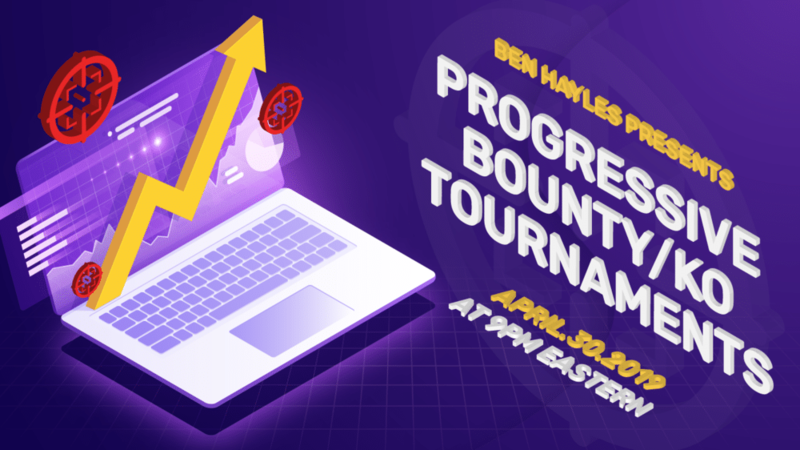 Tournaments are marathons in both games — it’s not about an individual hand or game, it’s about your results across many hours of play. Metagame is hugely important in both games, but they mean slightly different things. In MTG, metagame determines how you build your deck and what strategies you use to defeat the other likely metagame strategies being played against you. In poker, metagame determines how you exploit the chosen metagame strategies of your opponent. For example, if they are playing “loose aggressive” (i.e. playing many hands and betting them aggressively, with frequent bluffing), you might “tighten up” and play only premium hands against this opponent, and exploit their tendency to bluff by inducing them to be aggressive when you hold the best hand (“the nuts”). This is just a glimpse into poker’s metagame, and as you study the game, you’ll learn a whole lot about player archetypes like “nit” (doesn’t like to gamble, folds in any marginal spot, plays too tight pre-flop) or “maniac” (intentionally plays erratically and irrationally), and many more. Metagame is much more nuanced in poker because each opponent can and will change metagames fluidly throughout a session. If a player loses a big hand and goes on tilt, their metagame will change, and so will yours. The better players are in control over their emotions, and instead analyze the play of others and adjust their metagame on the fly. Your current mastery of MTG metagame will go a long way towards mastering poker. Just as MTG requires time away from the game to study card abilities, metagame, deck composition, etc., poker players can and should work on their game away from the felt. The more we thought about the similarities between poker and Magic, the more we realized we could write a whole book on the subject! You will find that being a good loser in poker is much harder than in MTG. Sure, you will get mana hosed sometimes and lose a game simply because of an awful draw, or have to take multiple mulligans. But these debacles are comparably rare. In poker, luck can and will ruin your day far more often, and far more absolutely. You will lose your entire stack with the best hand more time than you will care to remember. And each time, it will be difficult to control your emotions and continue playing as if nothing happened. With little money and mostly pride at stake if you lose a MTG game, losing is pretty easy, all things considered. Even if you’re on tilt, you’ll only have to play another game or two against that opponent before moving on. In poker, there are myriad flavors of tilt. Bad beat tilt. Card dead tilt. Bad mood tilt. Opponent acting obnoxious tilt. The list goes on. You will have to deal with it all and move on. The mental game is a much deeper part of poker than MTG. As you learn the game, you will find that you have to learn ways to control your emotions and sustain your focus amidst all manner of distractions. Most MTG decks adhere to a known metagame strategy, and for that reason, MTG can be a predictable game sometimes. The kinds of decks that you build for fun in casual kitchen table games would never stand up to the top competition decks, and while unexpected challenges happen from time to time, most people stick to what works. Poker is far more unpredictable. No two hands are the same. Play long enough and you will see it all. You will see three aces flop, with a fourth on the turn. You will make a straight flush. You will pick up aces three times in a row. Things that are seemingly statistical near-impossibilities are happening all the time. And you have to adjust in real-time. Add the unpredictability of up to 10 individual players to the vast complexity of card combinations, and you can see why poker requires much more adaptability to the unexpected. In MTG, you are usually exploiting the deck more than the player. In poker, it becomes the opposite. You’ll start by focusing on your own two cards, but quickly you’ll learn that profiling the other players and exploiting their tendencies are the most profitable ways to win at poker. The simplest way to put it is that in Magic, the deck drives the strategy, and the player is along for the ride. They can steer the deck one way or another, but the deck dictates all of their actions. The player’s strategy may come into play, but it’s usually a side note to the strategy embedded in the deck. In poker, the player dictates the action. The cards are important, but the player is where your focus should be. You can win many hands without needing to have a good hand, but simply by detecting weakness in another player, or forcing them to make a tough decision. There is limited bluffing in MTG. In poker, bluffing is not only a big part of the game, but it’s far more nuanced. For example, “semi-bluffs”, or betting aggressively when you have a bad hand that could potentially become a good hand, are an important part of getting an edge on opponents. Exploiting a player’s tendencies is a part of both games, but far more important in poker. Again, the deck dictates tendencies in MTG, in poker, each player is going to play the same cards much differently. We’d be remiss not to recommend joining us here at Red Chip Poker as a member. And we whole-heartedly invite you to our “new to poker” section of our forum where you’ll get friendly advice. But the most important thing is to play and to study. If you catch the poker bug like so many MTG players have, motivation will be in abundance. If you follow our advice on honing your edge while sustaining and growing your bankroll, your MTG skills may pay off bigger than you ever imagined. Good luck! Thanks for taking the time to speak with us! Before we get to your Magic: The Gathering background, let’s talk poker. It’s been an incredible year for you so far, dominating the best-seller charts with your poker books including the new Excelling at No-Limit Holdem… not to mention your impressive WSOP performance. Can you share some of the highlights with us? 2015 has been a fun year. I chopped a $5,000 turbo event at the PokerStars Caribbean Adventure, cashed in numerous high roller European Poker Tour events, and final tabled the $5,000 8-handed WSOP event. I have also released two best-selling books, Strategies for Beating Small Stakes Poker Tournaments, which is a short 80 page book listing the major adjustments you should make in order to crush the small stakes games, and Excelling at No-Limit Hold’em, a 500 page book that complies loads of knowledge from 18 of the best players and thinkers in poker. Amidst all the winning at poker, when and where do you find action as an MTG player these days? Are you mostly MTGO or do you play paper too? I only play Magic on Magic Online. Playing live takes too much time. I only play Magic in my spare time, which is often limited. When I am not busy traveling the poker circuit and am home, I will play a little bit each day. I load up a game (usually a draft, which takes around two hours) and work on my various poker related business projects in my down time. What excites you most about MTG right now? I only play the limited formats and Vintage, so I suppose either of those. I am a big fan of drafting because it combines numerous games into one, similar to a multi-table tournament. For example, if you are a great deep-stacked player but are horrible at short-stacked play, you will fail in poker tournaments. In draft, if you draft amazingly well but are bad at technically playing the game, you will fail. Perhaps I enjoy punishing people who have holes in their game! When and how did you make the transition from playing MTG to poker? I played physical Magic on and off from when I was 12 until I was 20 years old. One day after a Magic tournament, one of the guys suggested we play Poker with the buy-in being ten 10-cent cards. I lost a few times but realized the same players were winning every time. I studied up on the game by reading lots of books and quickly became the best player in the game. At what point did poker become your priority and why? Poker became my priority when I was 18 years old working at an airport fueling airplanes. After I learned to beat the micro-stakes games at the Magic shop, I deposited $50 online and quickly ground it up. In your opinion, what is it about poker that attracts so many MTG players, and vice versa? Both games are social games where you are trying to beat your opponent. Both games can be played at a variety of “seriousness” levels. You can goof off and have fun or you can take them super-seriously. They also provide a way to be competitive for people of all shapes and sizes. What qualities of a top MTG player are also valuable as a poker player? Both games have lots of known and unknown information. In my opinion, Magic is a much more difficult game than poker because there are so many more unknowns, but if you are good, you can often figure out which of the unknown things should be ignored and which are important. In poker, you have lots of information but quite often, one piece of information will override the rest. If you can figure out what is important and focus on it, you will be great at both games. Conversely, what might be some areas of weakness MTG players should pay particular attention to when learning the game? While going on tilt at Magic is certainly bad, it is usually not nearly as detrimental as when you go on tilt in poker. In magic, you may lose your individual game or a tournament, but in poker, it is quite easy to blow a huge chunk of your bankroll. Poker is also a much more serious game in that significant money is often at stake whereas in Magic, it is primarily played for tiny stakes and pride. I also think that in Magic, there is quite often a definitively correct play whereas in poker, that is often not the case. If the Magic player is too stuck in his ways, assuming that he “knows” what he is doing, and he never experiments, he will likely fail. Any parting advice to the experienced MTG player looking to start learning how to win poker? Take it slow! There is no need to jump into high stakes and try to get rich. Also realize that you know nothing about poker and start with the basics. Just like Magic is a huge game, poker is a huge game. Remember that it likely took you a long time to get good at Magic and poker will be the same. Check out Jonathan Little’s Red Chip Poker strategy content.